On May 9th, 2015 the family, friends, and two women priests (Dotty Shugrue and Bridget Mary Meehan) gathered to celebrate the life of our beloved Sister Priest Adele Jones, who had died peacefully in her sleep in April. Her son Rick played classical music on the piano. 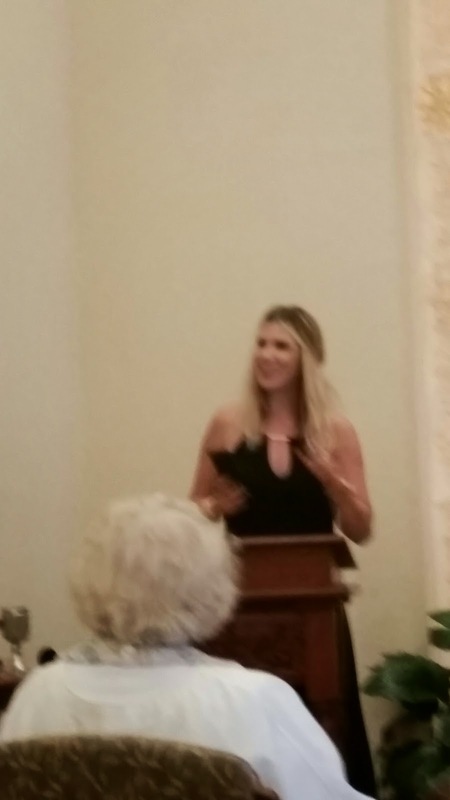 Alex, whom Adele called her adopted son, sang Panis Angelicus and Ave Maria. See liturgy below for specfic music selections and prayers. As relatives and friends embraced, they shared words of deep appreciation for one another's presence and they expressed their fondness for dearest Adele. Some had come from as far away as New York and California. One small child, looked up at Adele's photo draped with a priestly stole and said to his Dad, "is this heaven?" Amidst laughter and tears, her sons, Rick, Randy, Alex, and many others shared stories of deep love and gratitude for Adele. However, there is a story behind the scenes of the drama that unfolded with a unnamed "Monsignor" in the Diocese of San Antonio. So what could the Monsignor be upset about? I bet you guessed it! Adele was a Roman Catholic Woman Priest with the Association of Roman Catholic Women Priests. 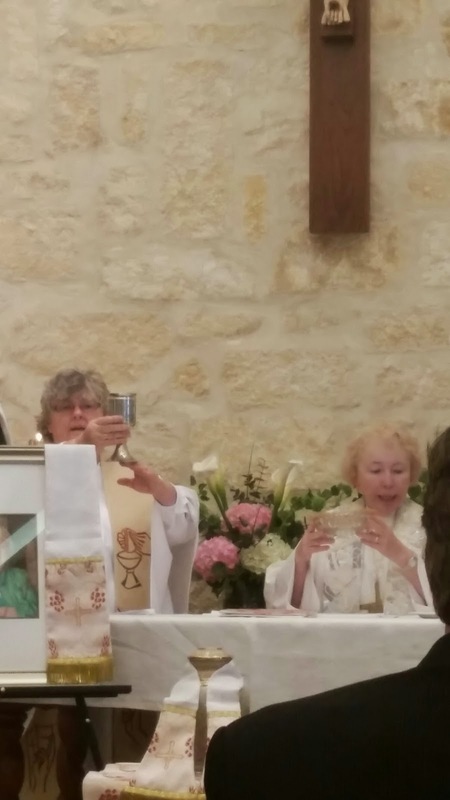 When her son, Rick, made arrangements to have her Memorial Mass in the Chapel at the Villa de St. Antonio in San Antonio, Texas, he received a call from an administrator that there had been complaints that Roman Catholic Women Priests were going to celebrate a Mass in the chapel. These complaints had gone all the way to to the top, to an unnamed Monsignor. So the word from on high was that there could not be Mass with Women Priests presiding. Rick made it clear in his communication with the Villa's administrator that since the Villa de St. Antonio is no longer owned by the Roman Catholic Diocese (It had been administered by the Franciscans.) It could not discriminate against anyone. So, we have a happy ending to this story! 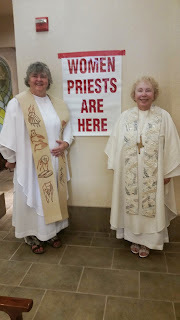 Here we are -two women priests, Dotty Shugrue and myself, Bridget Mary Meehan with our sign "women priests are here" --- affirming our right gently and lovingly to celebrate the Catholic Funeral Rite for our Sister Priest Adele in the beautiful "Catholic" chapel. As evidence, I point out that this non-denominational chapel's sacristy even has a confessional setup in the back corner! When I visited Adele two years ago, she showed me this lovely chapel and pointed out the stained glass window depicting St. Francis of Assisi. She loved the fact that this Assisted Living facility had a "Catholic" Chapel. The Franciscans had left it, but it was a spiritual sacred place for her. At the Memorial Liturgy, the staff at the Vila was most gracious and welcoming to all who came to the funeral liturgy and reception. We were even given access to the sacristy, when we had been informed before that we would not be able to use the sacristy. 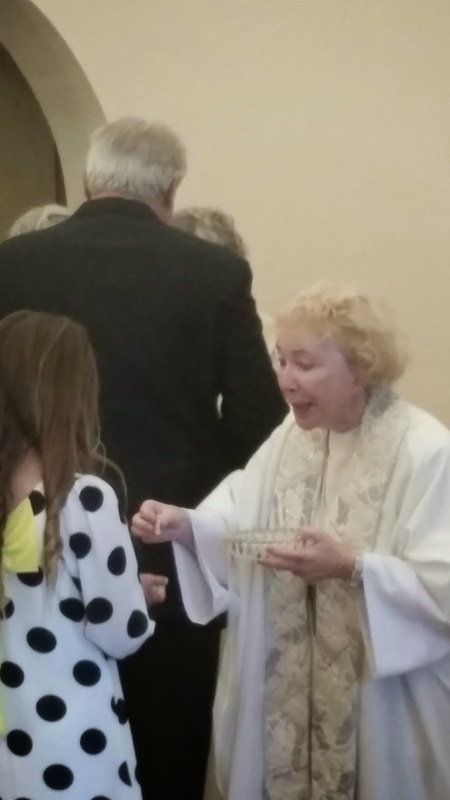 We always bring our own liturgical supplies, but we appreciated the change of mind and kind gesture. However, we found it interesting that the sign announcing Adele's Memorial Mass stated twice that Adele Jones' funeral was a "private service". Below you will see the Memorial liturgy and lovely photos of her son, Rick seated at the piano, and other family members and friends as well as Dotty Shugrue and myself, Bridget Mary Meehan, who represented our entire Association of Roman Catholic Women Priests who could not be physically, but were present in spirit. May our dear Adele sing and dance forever with the angels and saints! Those things, which ye have both learned, and received, and heard, and seen in me, do: and the God of peace shall be with you. The Word of God. Thanks be to God. Psalm 23: God is my shepherd, I shall not want. All: God is my shepherd, I shall not want. God, you are my shepherd. I want nothing more. You let me lie down in green meadows. lead me beside restful waters. Your refresh my soul. death, I fear no danger, for you are with me. Your rod and your staff: They give me courage. You spread a table for me in the presence of my enemies, and you anoint my head with oil, my cup overflows. Only goodness and Jove will follow me all the days of my life, and I will dwell in your house, God, for days without end. And then I will come back to take you, that where I am, there you may be as well. Shared Homily: Tribute –we light a candle as we remember our dear Adele and share stories of her joy, faith, and wisdom that has touched our lives and blessed our world. All: Loving God, we will carry Adele in our hearts forever. Presider: Blessed are you, God of all creation, for through your goodness we have received the bread we offer to you, fruit of the earth and work of human hands. It will become for us the bread of life. All: Blessed by God for ever. Presider: Blessed are you, God of all creation, for through your goodness we have received the wine we offer you, fruit of the vine and work of human hands, it will become our spiritual drink. Presider: Pray my brothers and sisters that our offerings may give praise to God. All: May God accept our gifts for the praise and glory of God and for our good and for the good of our church. Presider: God is with you, proclaiming love. ALL: Holy, Holy Holy, God of power and might. Heaven and earth are full of your glory. Hosanna in the highest. Blessed is the One who comes in the name of our God. Hosanna in the highest. Presider 2: Gracious God, you set the banquet table and invite all to the feast that celebrates your boundless love in the universe. As midwives of grace we are Your hands, lifting up those who suffer, the vulnerable and excluded in our world today. Presider 1: We especially thank you, Holy One, for Jesus, the Compassion of God, who came to show us a new vision of community where every person is loved and all relate with mutual respect. We welcome all God’s family into the Circle of Life at the Banquet of Love. 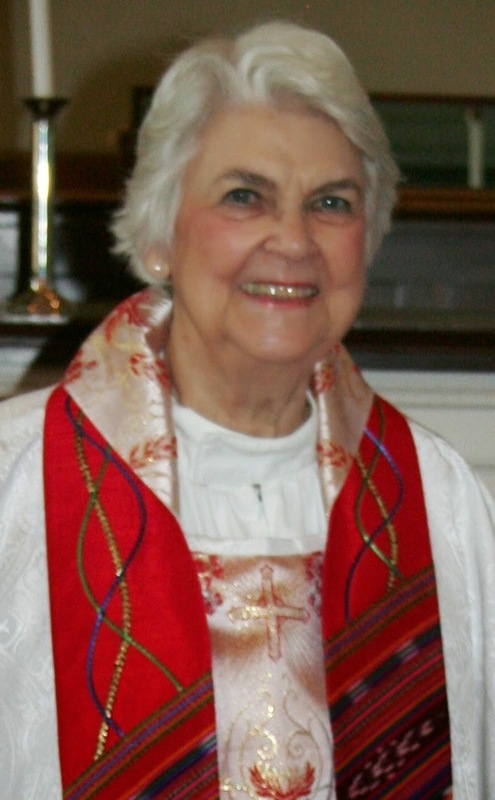 Presider 2: Jesus we remember our beloved Sister, Adele Jones, who is now in your eternal embrace in heaven. We give thanks for her joyful witness to the Gospel during her life. May we be blessed by her wisdom and inspired by her kindness as we celebrate our oneness with her in the communion of the saints. This is my body, he said. Take and eat. Do this in in memory of me. Take and drink of the covenant of my love poured out for you. Do this in memory of me. Presider 1: And so, liberating God, we hold our religious ministers and political leaders in the light of Christ Sophia, Holy Wisdom. We pray for Pope Francis, for our bishops, for the young and the elders, and for all God’s holy people. Presider 2: We remember those who are sick and suffering. May they be healed and comforted. We remember Mary, mother of Jesus, Mary Magdala, Peter, Paul, and all the angels and saints who surround us with loving prayer each day. 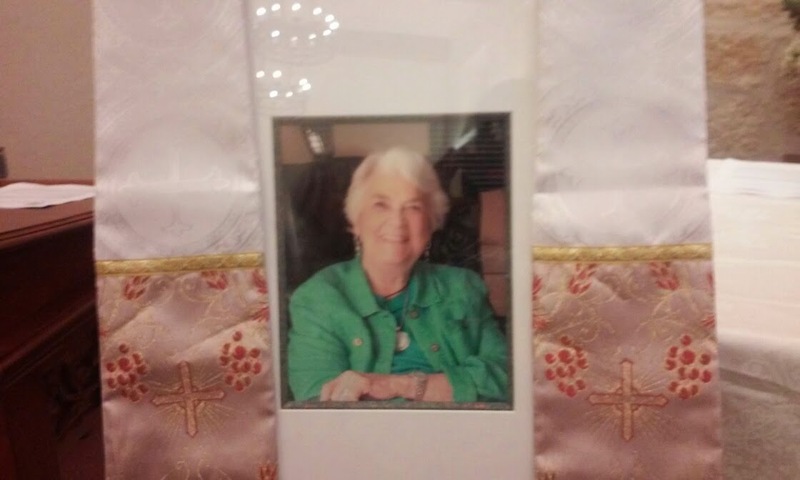 We remember our dearly beloved Adele and all who have died that they may experience the fullness of life in the embrace of our compassionate God forever. Loving God, You call us to live the Gospel of peace and justice, we will do so. Loving God, You call us to live as Your presence in the world. We will do so. Presider1: This is the Bread of Life. All are invited to partake of this sacred banquet of love. All: We are the Body of Christ, the family of God. Presiders: May God bless us as we go forth. The new and eternal Jerusalem. May choirs of angels welcome you and lead you into the heart of God. was no longer an issue. even though Cornelius is not Jewish. in which God declared all foods clean. and military personnel attached to Cornelius’ headquarters. in the final verses of today’s passage from Acts. hear the message in their own language. in language that Peter and his companions can understand. accept the non-circumcised Gentiles as Christians. so we must love one another as God loves us all. of Jesus’ Last Supper discourse. is undeniably the message of Jesus. All live in God’s love. God chooses everyone else, too. in the language of the scripture writers. Our world today needs to listen to Jesus’ message once more. that some lives are more important than others. killed by the Nepal earthquake. crowds out the story of genocide against the Yazidis. an order to consider each life as important as every other life. Love one another in Baltimore. Love one another in Nepal. Love one another in Toledo. against all the hate and war and violence in the world? or we can convince someone else to plant a tree. and we do them out of love for God and neighbor. compared to the great need in our world. lying on its back with its feet in the air. and asks the chicken what she’s doing. Each of us can do something. as we love one another the way Jesus taught us to. Pope Francis Orders a Jubilee Year of Mercy and Pardon/How About Lifting Excommunication Against Women Priests and Our Supporters? 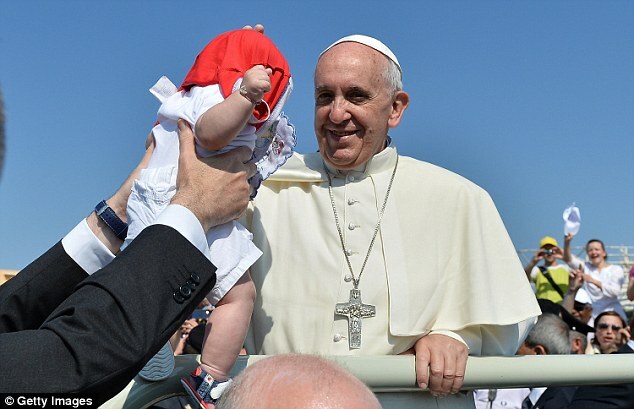 Pope Francis has ordered Roman Catholic priests to bestow a full pardon on women who have committed a mortal sin by having an abortion. Next year, both women who have had abortions, and doctors that have performed them, will be able to seek absolution, as part of a special Holy Year of Mercy decreed by the pope. 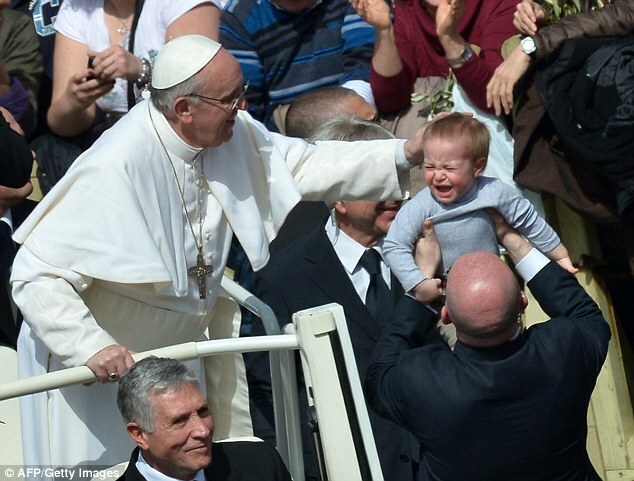 In the Catholic Church, abortion is considered one of the gravest sins and results in automatic excommunication. It can only be forgiven in certain special circumstances, by high-ranking clergy or by making a pilgrimage to Rome during a Holy Year. But in a gesture of reconciliation the pope is for the first time to send ordinary priests as ‘missionaries of mercy’ all over the world with special powers to forgive even the most serious sins. One of the organisers of the Jubilee Year Monsignor Rino Fisichella told a press conference that this included also abortion. Those priests who apply to be missionaries must be especially skilled and ‘good confessors’, he said. The theme of the Holy Year, which begins on December 8th, has been widely interpreted as a signal by Francis that the church should be less judgmental. In a document known as a ‘bull of indiction’ explaining how he wants Catholic to celebrate the Jubilee year, the pope said that ‘the church must be ‘an oasis of mercy’. The United Nations has previously condemned the Vatican for excommunicating the mother and doctor of a nine-year-old girl who had an abortion in Brazil in 2009 after she was raped by her stepfather and became pregnant with twins. But the move is not likely to be approved universally. 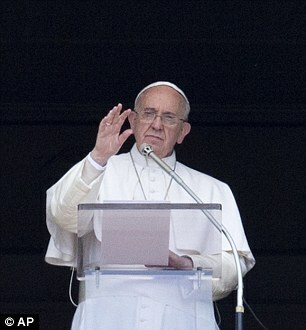 Italian cardinal Velasio De Paolis said it could cause ‘confusion’ among the faithful. 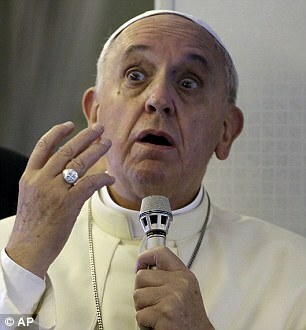 He said: ‘Regardless of this decision by the pope, the church will continue to consider abortion a sin. flowers and even smart phones, according to the mainstream media. of a spouse or partner... and doing it anyway. weak? Jesus tells us in today's reading from John to "remain in my love." 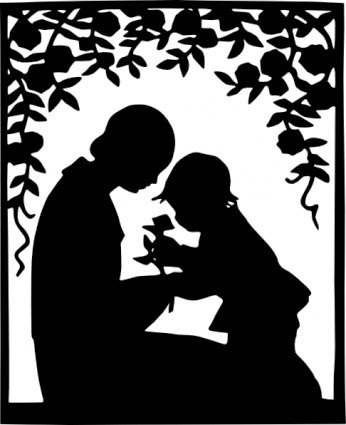 and intellect, who serve people on the margins; they are our mothers, too. countless ways; they are our mothers, too. honor our mothers and all mothers for who they truly are. The shining lights in this situation are American activist nuns and Catholic women priests, who run their own churches. 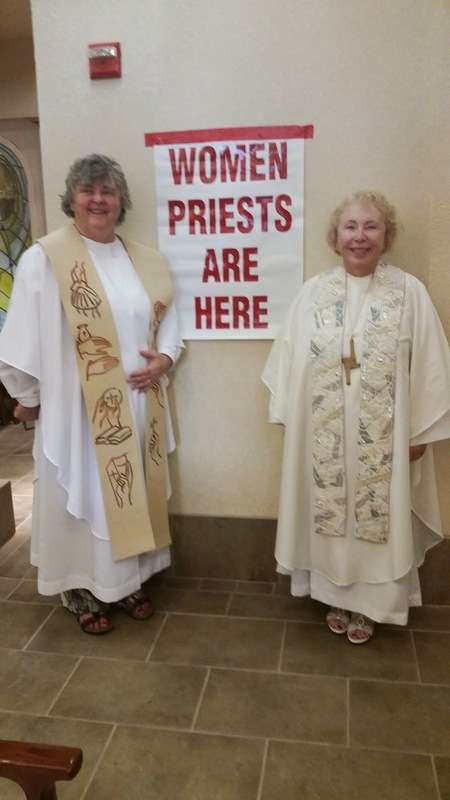 There are now more than 100 ordained women priests in the United States. That and the fact that the Church hierarchy really doesn't represent most Catholics in terms of practical day to day life. Barring altar girls, however, is more than just vestigial sexism, it's obstructionist and grounded in misogynistic ideas. 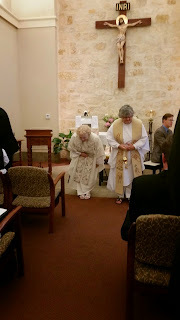 A Church genuinely committed to addressing the needs of the marginalized wouldstartwith the ordination of women, not end here, centuries from now. The problem for the Church isn't girls who stay, it's the girls they turn away, each of whom realizes she is, for no legitimate moral or ethical reason, not respected as an equal, regardless of what the Pope says. As long as girls have to fight to be recognized in their own churches the Pope's protestations ring hollow. In the meantime, every altar girl this Church turns away is a gift to the rest of the world. Those girls, and the people who support them, are the ones who will eventually close the pay gap. 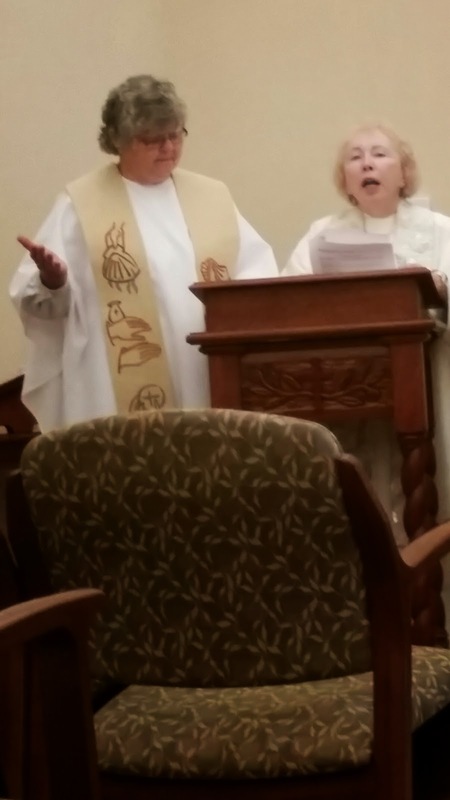 Bridget Mary's Response: The international Roman Catholic Women Priests movement is offering an inclusive church for all! 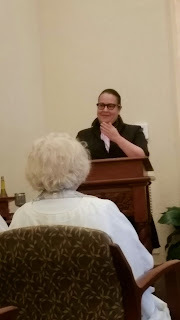 We are healing the wound of centuries only sexism in the church. 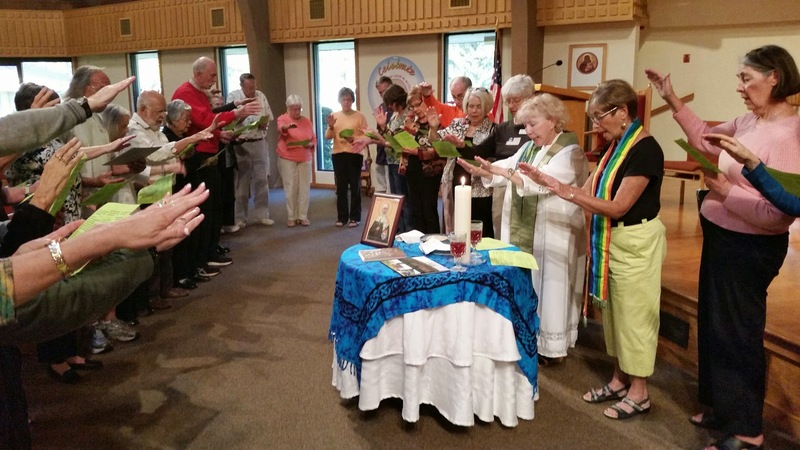 Catholics who experience our liturgies report that they appreciate shared homilies, inclusive language and the open table that welcomes all to the Banquet of Christ's love. I wrote a book, Living Gospel Equality Now, about my journey to priesthood and the story of Mary Mother of Jesus Inclusive Catholic Community (with married and women priests) in Sarasota, Florida. 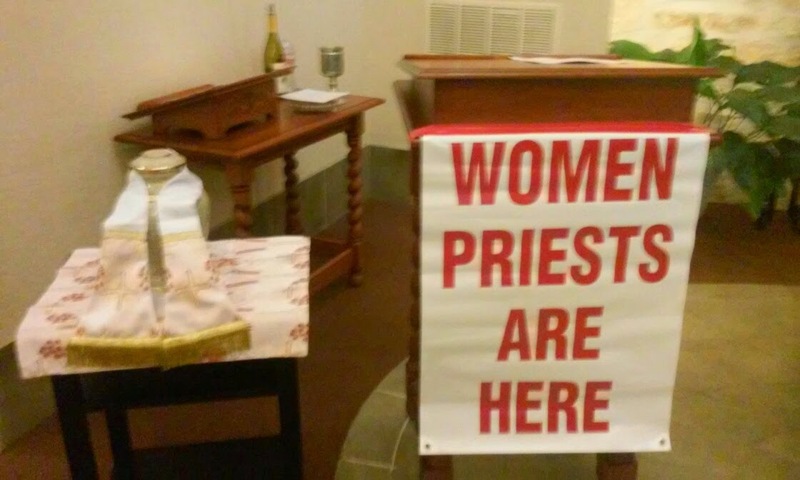 Women Priests are in 35 states, over 65 communities in the U.S.